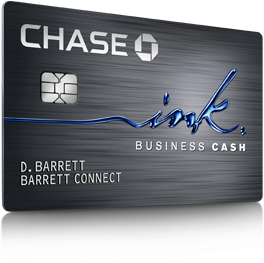 Chase has increased the bonus offers on their Ink Cash and Ink Plus business cards temporarily. Let’s take a look at the offers in more detail. Note: Many offers including these two are available via my links that can be found on the support page. If you apply for any cards through those links it helps to support the site. Either way, I have included the direct non-affiliate links below. Earn 60,000 Ultimate Rewards points after $5K in spend during the first 3 months. $95 annual fee is not waived. Earn 30,000 Ultimate Rewards points after $3K in spend during the first 3 months. No annual fee. Earlier this year I covered news that Chase was cracking down on credit card churners applying for their Ultimate Rewards cards. Specifically, they were/are auto denying anyone who has opened 5 or more credit card accounts across all banks during the past two years. If you have opened 5 or more accounts then it is highly unlikely you will be approved. For those who are new to miles/points or who don’t open up a lot of cards, then this might be a good deal. This is a fantastic deal for the Ink Cash, since it has never been higher than 30K. 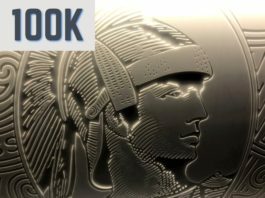 As for the Ink Plus, the normal deal gives 50K with the annual fee waived, so you are trading $95 for 10K Ultimate Rewards points. Probably a trade worth making, but hardly a killer deal. While most of you probably won’t be eligible to get these cards, this deal is worth covering since I believe the Ink Plus card is the best Ultimate Rewards earning card and is a must get if you can. I personally have two and use them all of the time because of the 5X earning at office supply stores. The Ink Plus also opens up transfers to travel partners. I didn’t see any expiration date listed for this offer, so I really don’t know how long it will be around. In the past similar deals have lasted a few weeks so I don’t think it will disappear right away, but of course you never know either way. Previous articleAdding Cuba to My Crazy Mileage Run to Panama?!? The Logistics & My Mileage Options! Next articleUpgrade to Long-Haul Business Class on Select Airlines for up to 75% Off! Apply in branch? Esp for someone with long-standing relationship with them? It could work. The last two times they have run the 60K promotion the first year annual fee has been waived in branch as well. It certainly is worth a try.